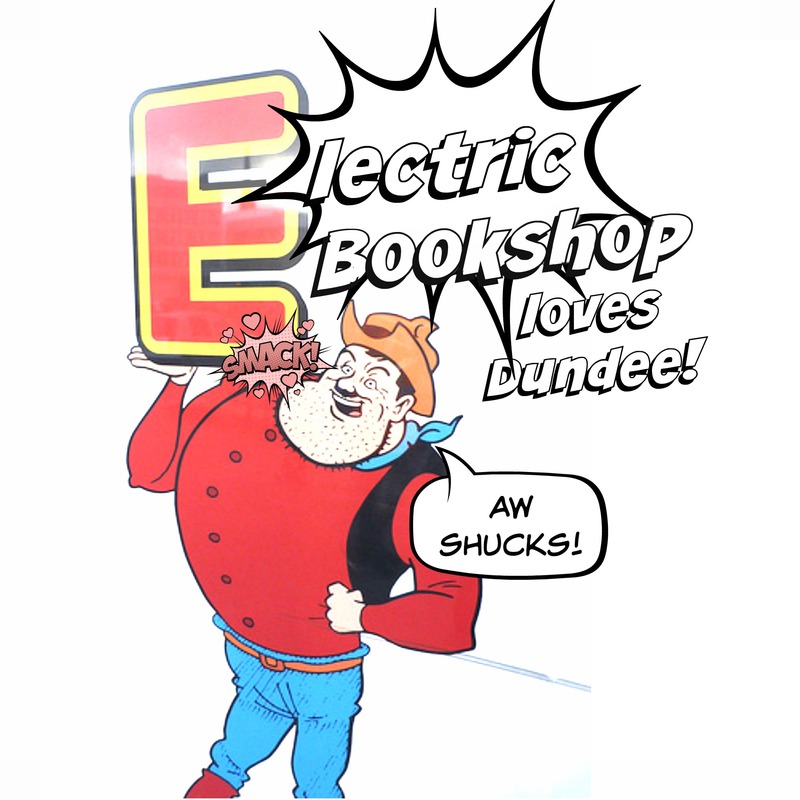 Electric Bookshop is venturing out of Edinburgh for the first time with a couple of exciting events in November. Dundee is a happening place which has historically been famous for its three Js – jam, jute and journalism. We’re thinking of rebranding it due to the wealth of exciting innovations therein to the three Cs – comics, computer games and conductive ink. Comics – As the home of D.C Thomson, Dundee has a thriving comics scene and culture, with the University of Dundee offering a Comics Studies module headed up by leading comics academic Dr. Chris Murray. With Dundee Comics Day having recently taken place as part of the Literary Dundee Festival, we’re looking forward to connecting with some of the comics fraternity and sorority of Dundee at our forthcoming event at NEoN Digital Arts Festival. Computer Games – Dundee hosts a thriving games industry, was the first home of the ZX Spectrum (manufactured at Dundee’s Timex factory) and has had a hand in the making of Minecraft and the Grand Theft Auto franchise, amongst other successes. Abertay University launched the first specific Computer Games degree and is a thriving hotbed of latent games developing talent, feeding the thriving scene in Dundee. There are also plans in motion for dedicated computer games industry offices and workspace in Dundee’s ongoing billion pound city makeover. Conductive Ink – One of our favourite ever guests, Michael Shorter, is a paper electronics researcher and designer at the Product Research Studio at the University of Dundee. Along with colleague Jon Rogers they are doing some fascinating work in the field of conductive ink and paper electronics, and we look forward to catching up with them later in the year. Our first event is part of the marvellous NEoN Digital Arts Festival and has a distinct comics theme, with some braille reading technology thrown into the mix. Check out their full programme here. Our second event is part of the Dundee Science Festival and will feature interactive elements from our Pressed for Time installation.